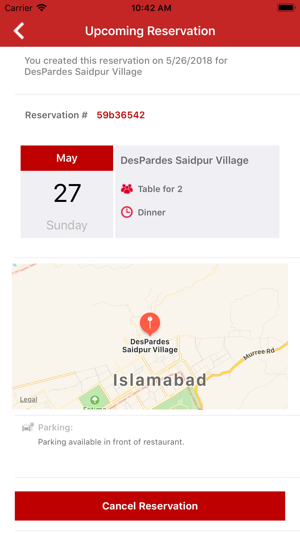 Dinein.pk app helps dinners to find, explore and manage real-time table reservations at all participating restaurants that are within the dinein.pk network. 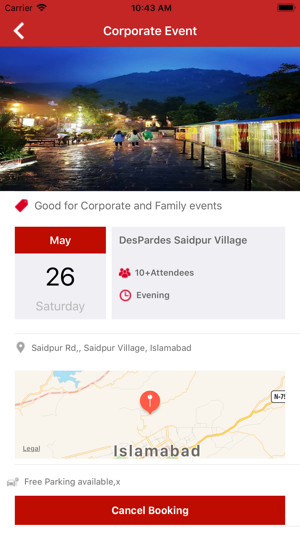 But Restaurant Table reservation is just a start; Dinein.pk app also helps you to find best restaurants in town to organize your private events such as corporate events, business meetings, birthday parties, family events, farewell parties, Iftar parties, engagement parties and wedding receptions. 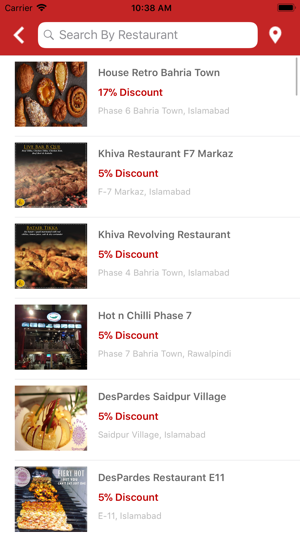 Dinein.pk service is a free service and gives away exclusive discount deals of up to 30% at all participating restaurants on each table reservation or event booking. Explore and enjoy the pleasure of authentic taste of local and global cuisines at local restaurants and choose from large variety of cuisines such as Pakistani cuisine, Continental Cuisine, Middle Eastern Cuisine, Chinese cuisine, Thai cuisine, Indian Cuisine. 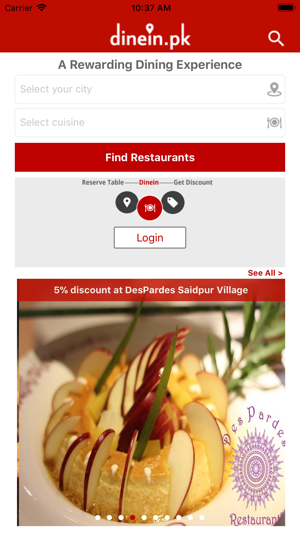 Use Dinein.pk app to view restaurant menus, restaurant photos and restaurant portfolios. 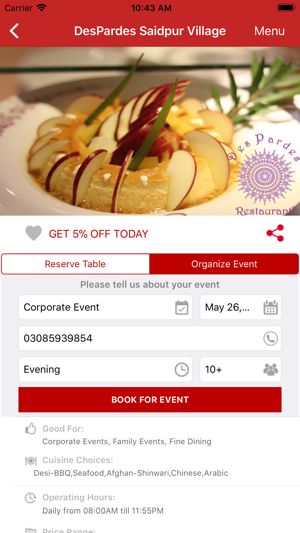 Go ahead and download dinein.pk app to make your table reservation or to book your event. 1- Instant and Free Table reservation at all participating restaurants in town. 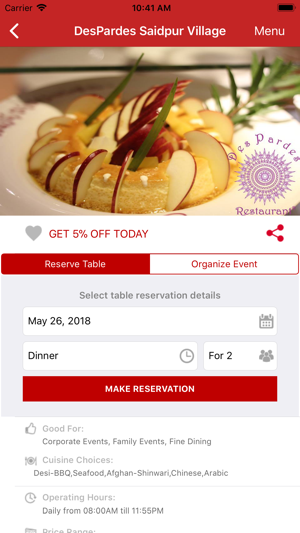 2- Instant and Free Event booking at all participating restaurants in town. 3- Discount Deals on every table reservation. 4- Discount Deals on every event booking. 5- Explore and enjoy large variety of cuisines. 6- View Menus, Photos, Location and restaurant portfolio of each restaurant in town. 7- Search Restaurants by Location and cuisine type. 8- Manage restaurant reservations on the go —it’s easy to cancel, and re-book. 9- Manage event bookings on the go —it’s easy to cancel, and re-book. Dinein.pk is not a food delivery or home delivery service. All exclusive discount deals are updated on daily basis.